Does it really make a difference what size memory card you use? To your camera, no; to you, however, it could mean the difference between getting the picture you want or running out of space on your memory card. When choosing the most logical size, take into account how many pictures you usually take at a time. Your needs if you are a world traveler will be different from those of a person who only uses a camera for holiday get-togethers. You also need to decide how big the files are of the pictures you take. Smaller files such as pictures for online will take less space and enable you to fit more on a card. Larger files for printing will need more room. camera, a 128MB or 256MB memory card is usually plenty. For a 5-megapixel camera, start with a 256MB memory card. 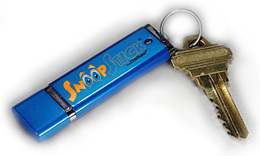 *A 128MB flash memory card can store about 21-41 large, uncompressed images or up to 100 small, compressed images. This is good enough for most photographic needs. *A 256MB card will store about twice that, 42-82 large pictures and nearly 200 smaller ones. Important events like weddings and once in a lifetime events might warrant this size just to make sure you donâ€™t miss that one special moment. A 1GB card has room for nearly 4 times as much as a 256MB card, If you are planning a long vacation with a lot of picture taking, this might be best with the capacity to hold 168-328 large images and a total of close to 800 smaller images. Whatever you decide, remember you can always use several smaller cards and just change them when they are full. It only takes a few seconds to switch memory cards, so donâ€™t panic if you donâ€™t have a large memory card. IO Gear has released the Digital Scribe device that turns your handwriting into a digital format when connected to your notebook or PC. It uses an Optical Character Recognition (OCR) software to do the conversion, and IO Gear claims that the software has an accuracy rate of 99%. You use the digital pen to write or draw stuff down on a piece of regular paper in front of the Digital Scribe module where the same written/drawn data will appear on screen. The digital pen comes with regular ink cartridges which can be replaced when empty. I tried drawing a cartoon which was reproduced pretty accurately on screen, but the OCR software was not installed at the presentation booth. I am not too sure about why anyone would want to write something down on a piece of paper when seated in front of the PC as it would be much more convenient to boot up a word processor and type it all down instead. 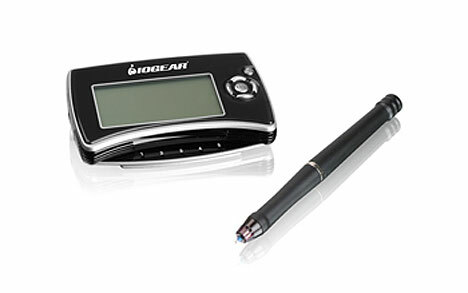 Anyhow, the Digital Scribe is available in two formats – a wired model and a wireless one. The wired model will retail for $49 while the wireless version would set you back by an additional $50. Itâ€™s actually called the â€œHome Theater Watch,â€ but thatâ€™s somewhat of a misnomer, seeing as the screen that this watch features is only an inch and a half in size. Nothing wrong with that, thoughâ€¦ It is, after all, a watch. The 2 gigs of onboard memory should handle at least one movie. 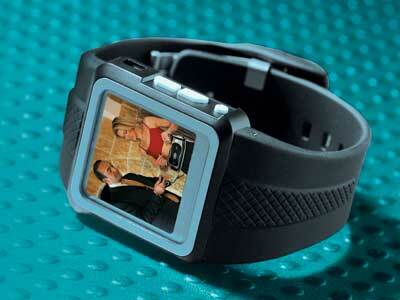 The watch hooks up to your computer via USB, and can also play back picture slideshows and audio files. Although software is included to convert some types of video files (including AVI, WMV, MPEG, and VCD) into watch video format (whatever that is), thereâ€™s no information given about battery life. It would be nice, too, if instead of the 2GB of built in memory, there was an SD card slot.